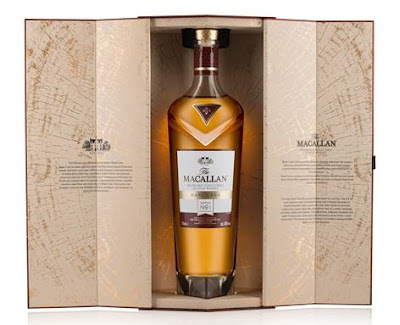 The Macallan, has announced the launch of the first of three Rare Cask bottlings, to be released this year. The Macallan Rare Cask Batch No. 1 - 2018 (43% ABV) has been matured in hand selected, first fill sherry casks. The Macallan Rare Cask bottlings, are said to exemplify the ‘art of the cask’ and its dedication to using only the best quality wood - a process carefully managed from acorn to cask. The process of hand-selecting casks is highly skilled and complex, requiring a balance of cask knowledge and creativity. Less than 1% of the casks maturing in The Macallan reserves meet the strict criteria for the Rare Cask bottlings. This latest Macallan, is one of three batches to be released this year, with four planned for each subsequent year. Each limited batch release represents the volume of only 50 oak sherry butts. The Macallan Rare Cask Batch No. 1 – 2018, will be available next month from specialist retailers, for a RRP of £230,00.